At a government meeting this week, Turkmenistan's President Gurbanguly Berdymukhamedov called for private mobile phone companies to be founded in Turkmenistan, the semi-official news service turkmenistan.ru reported. The Turkmen leader said that he hoped to see at least three private companies emerge, and that loans could be provided to give them a start. With such competition, he said, services would improve, «particularly for high-speed Internet,» turkemenistan.ru reported. Turkmen citizens reeling from the sticker shock of an announcement that the state Internet provider is going to charge $7,000 a month for fast Internet service certainly hope so. 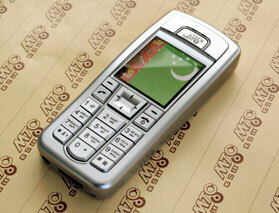 Many people in Turkmenistan used to rely on Russia's MobileTeleSystems (MTS) to provide access to the Internet. But on January 21, the Turkmen Ministry of Communications shut down MTS Barash Communications Technologies International (BCTI), a subsidiary of MTS, when its five-year license expired January 21. Suddenly, 2.4 million Turkmen customers were left without service. At first customers were told to wait a month, and the contract would be renegotiated -- there were rumors that the Turkmen government wanted more than the 20 percent of the profits they were already taking, and sought more than 50 percent ownership. But after 30 days, there was still no service, and MTS said they were seeking USD 600 million in damages in two suits, one at the International Arbitration Court and the other at the International Chamber of Commerce. They also threatened to go to the World Bank as well. The Altyn Assyr mobile company, the Turkmen national state provider, has had only 310,000 customers, and has been losing out in competition with Russia's region-wide premiere service, It has now proved unable to cope with the influx of former MTS customers now seeking at least some kind of cell phone service. Berdymukhamedov wants the new companies to take approved names like «Galkynysh,» or «revival,» after his propagandistic campaigns for the «Era of New Revival» featuring his reforms. He also announced that foreigners from «renowned international companies» could invest in new joint ventures, but that Turkmen companies would be required to own more than 50 percent stake. No mention was made of MTS being invited back - it's possible the Russian mobile company fell victim to worsening relations between Moscow and Ashgabat, unable to resolve a number of disputes such as the price of gas. The president has ordered a proposal for the creation of the telecoms to be presented by next week. Given Berdymukhamedov's propensity for harassing his subordinates, it's likely in the coming weeks we will see reprimands given out for «poor work performance» and «lax oversight» and heads may roll in the ministries for failing to scramble fast enough to keep up with this latest whim.